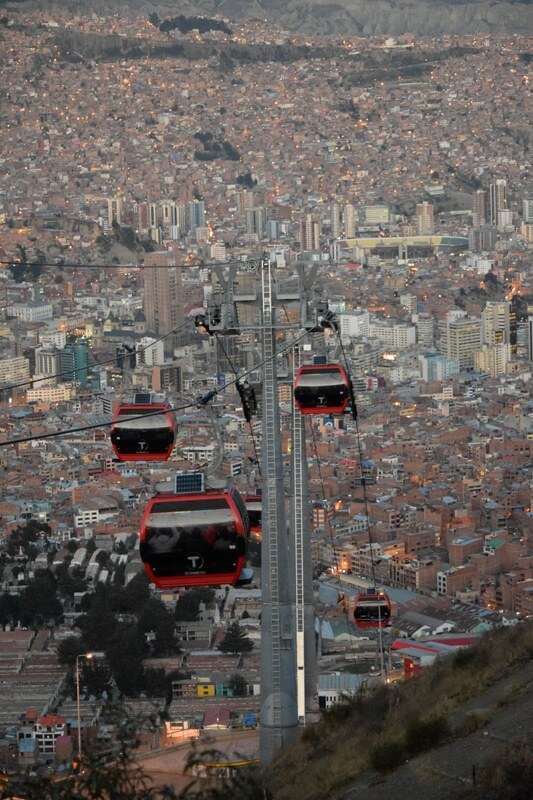 Arrive La Paz, Bolivia. 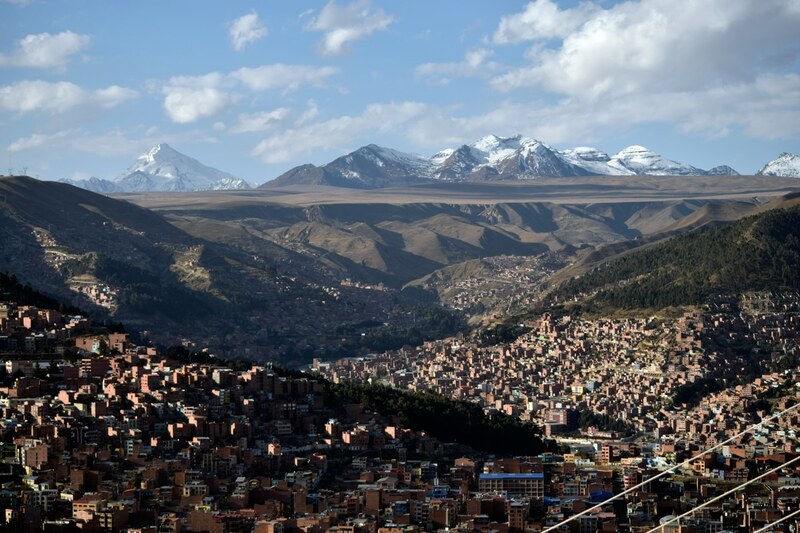 We’ll travel from the dizzying heights of the El Alto Airport (13,323 ft./4061 m) on the altiplano (high altitude plateau) and drop into the city of La Paz. La Paz, with an average elevation of 11,975 ft./3650 m, is the highest capitol city in the world. 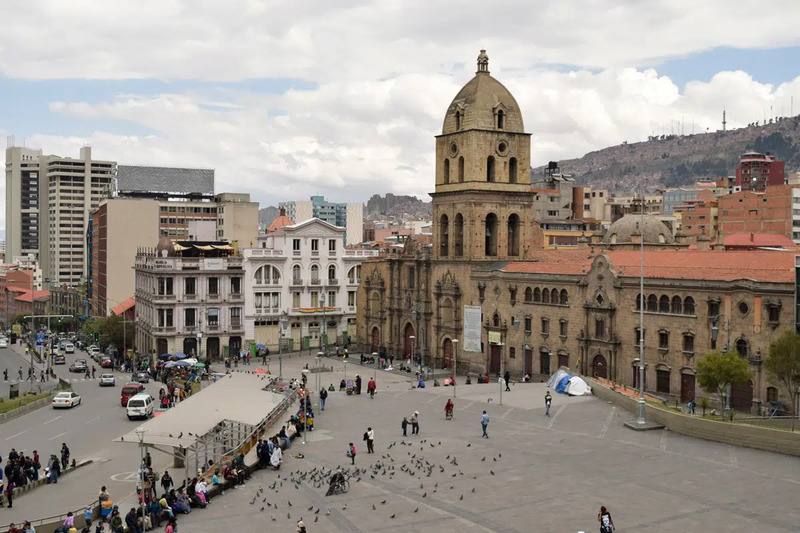 The city was founded in a bowl like depression beside the altiplano and has grown expanding upward in spectacular form with buildings clinging to the rugged canyon walls. 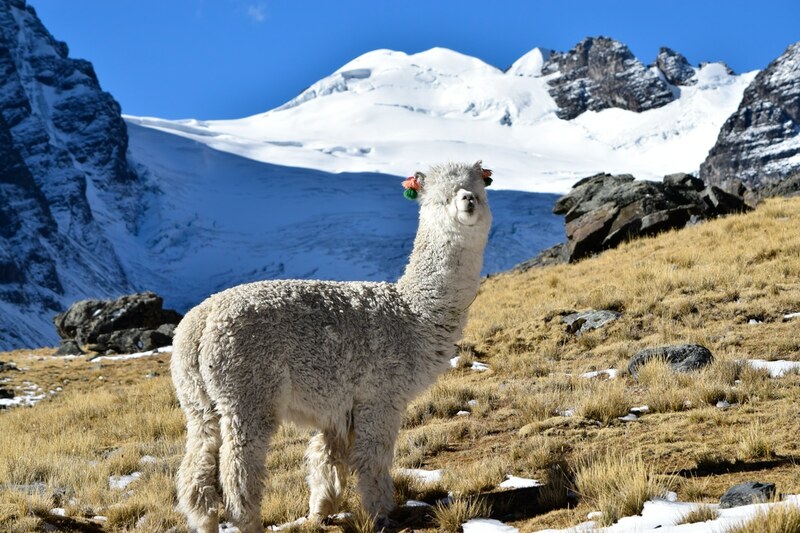 We’ll spend the day acclimatizing and taking in views of the Cordillera Real (Royal Range) by riding the longest and highest urban cable car network in the world and with a city tour. We’ll also have a thorough equipment check and orientation at the hotel. Overnight at hotel in La Paz (11,810 ft./3600 m). 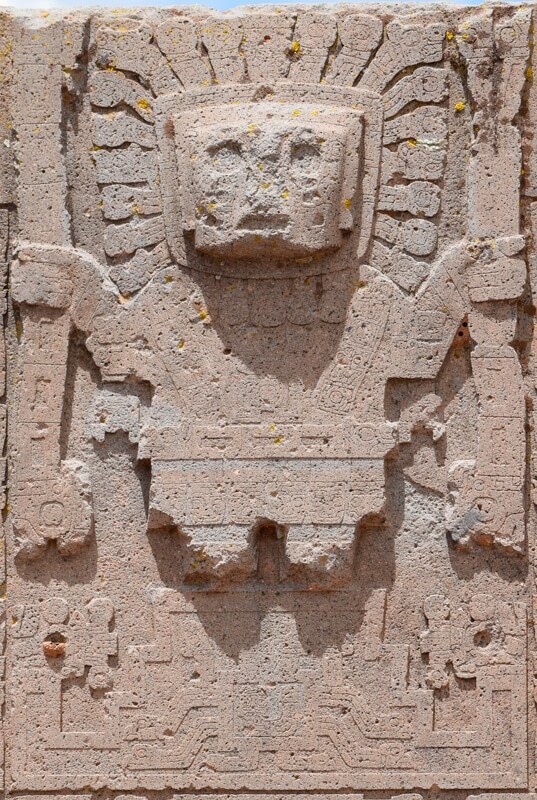 We’ll visit Tiwanaku, an ancient ceremonial center and the greatest megalithic architectural undertaking of South American pre-Incan civilizations. 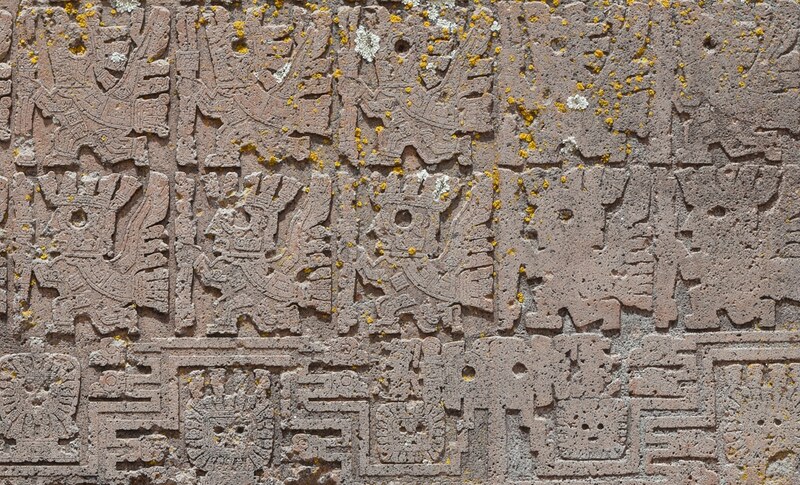 The site is known for its stone figures carved out of megalithic blocks, temple ruins, and the impressive Gate of the Sun, believed to have functioned as a solar calendar dating back to 600 BC. 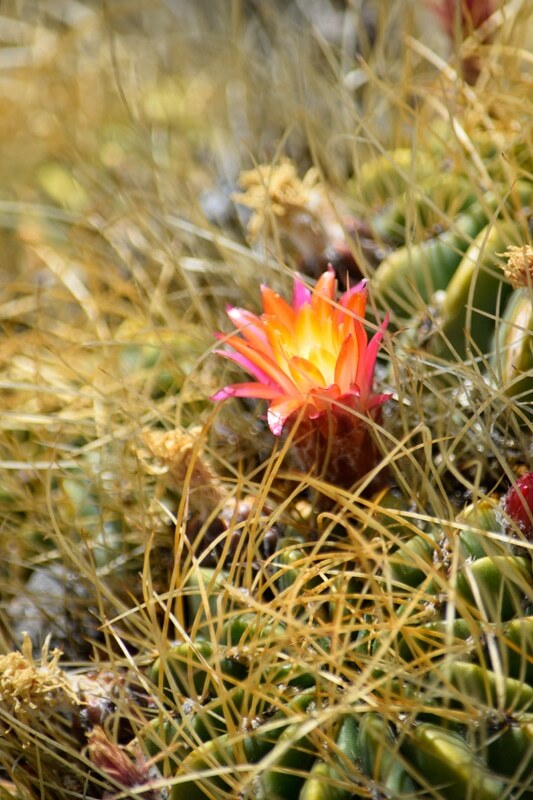 The site gives a fascinating glimpse into this pre-Inca culture and provides a base for understanding local modern altiplano Aymara culture. 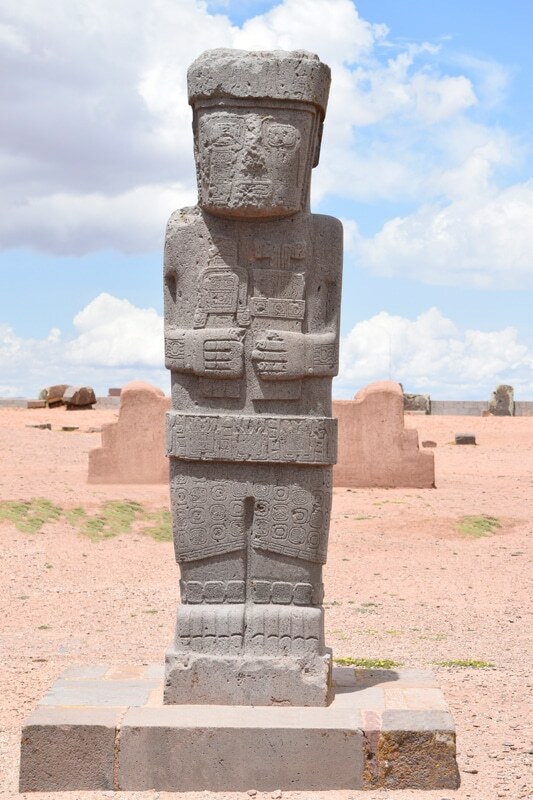 From Tiwanaku, we’ll travel across the altiplano, eventually following the winding shores of Lake Titicaca, the world’s largest high altitude lake and the mythical birthplace of the Incas. We’ll cross the Strait of Tiquina by boat and shortly thereafter arrive at Copacabana, a religious pilgrimage town set on the edge of Lake Titicaca. Overnight at hotel in Copacabana (12,602 ft./3841 m). 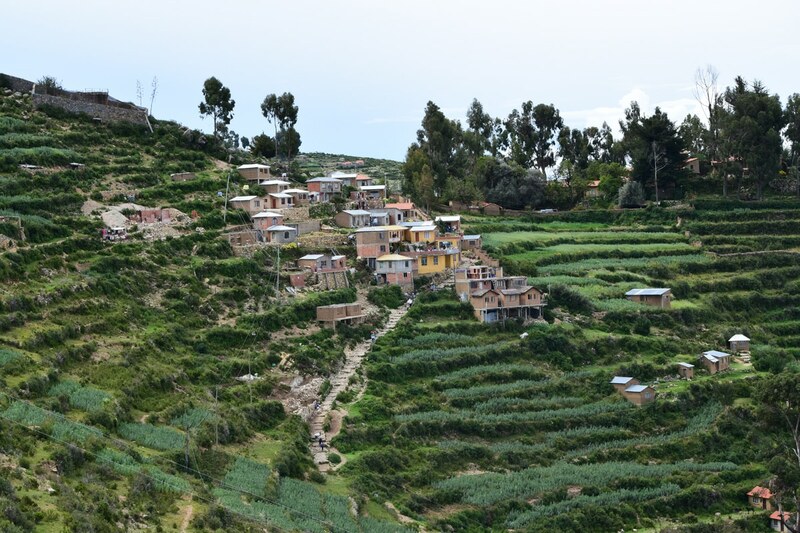 An early morning boat trip will take us to the Isla del Sol (Sun Island), with a stop at the small Incan ruins of Pilko Kaina (Incan Palace), before arriving at the village of Cha’llapampa on the northern end. We’ll begin a three hour trek across the island, stopping at the archaeological sites of the Chincana Ruins and its surrounding features. Our hike will follow the crest of the island, affording stunning views of both coasts and of the Cordillera Real across Lake Titicaca in the distance. In the afternoon, we’ll reach our lodge at the crest of the southern end of the island. In the evening, weather permitting, we’ll have the option of a short walk to the highest point of the island to watch the sun set over the Cordillera Real, turning the lake and mountains vivid alpenglow hues. Overnight at ecolodge in Yumani (13,031 ft./3972 m). 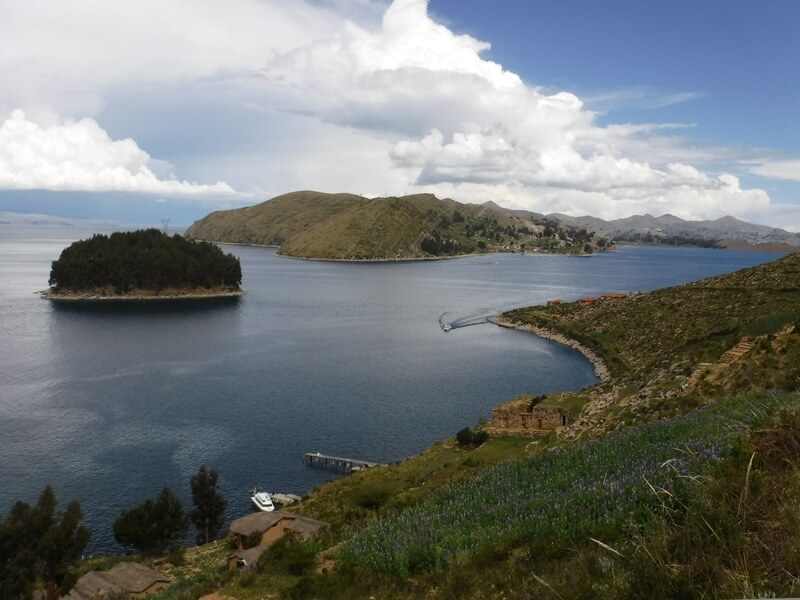 After a short walk down to the lake’s edge, our private boat will transport us from the Isla del Sol back to the town of Copacabana. From there we will continue by road to Rinconada, the gateway to the Condoriri group of mountains. Donkeys will be loaded with our gear and we’ll trek about an hour and a half to two hours to reach Laguna Chiar Khota (Black Lake) and its beautiful views of the cluster of thirteen peaks known as the Condoriri group. This will be where we will establish our base camp for the next several days of acclimatizing, skills review, and climbing. Overnight at Condoriri Base Camp (15,420 ft./ 4700 m). 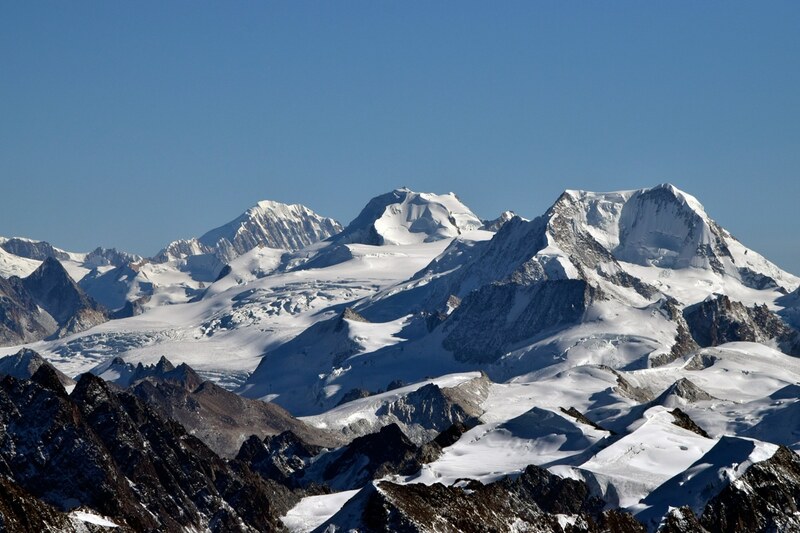 We’ll climb Pico Austria (17,454 ft./5320 m). 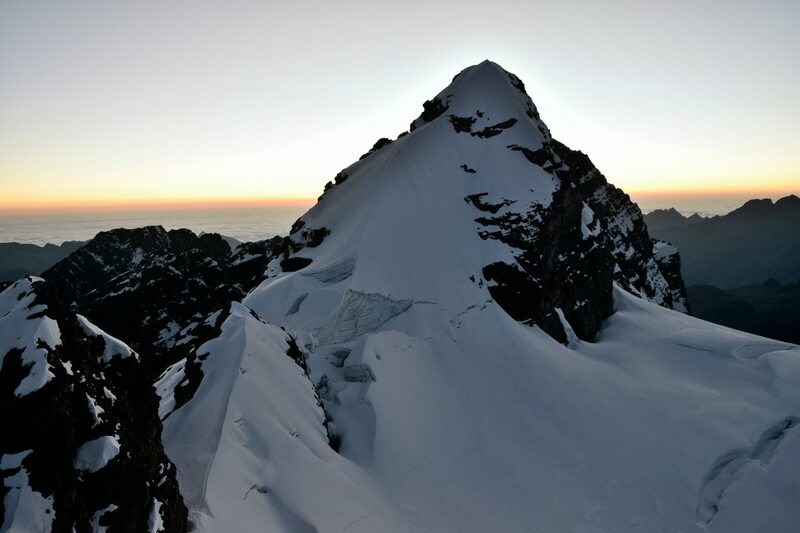 Pico Austria is a trekking peak and combines acclimatization with stunning views of the Cordillera Real, the Condoriri group, the altiplano, and even Lake Titicaca. Overnight at Condoriri Base Camp (15,420 ft./4700 m). We’ll hike to the glacier terminus (15,750 ft./4800 m). 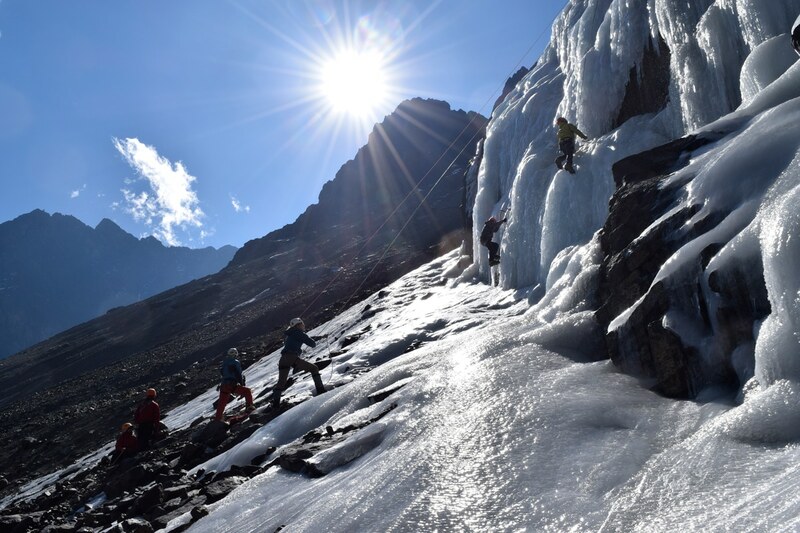 This is designed to be an easy day where we will review cramponing techniques, glacier travel, and other skills necessary for the ascent of Pequeño Alpamayo. Overnight at Condoriri Base Camp (15,420 ft./4700 m). This is a rest day in preparation for the attempt of Pequeño Alpamayo the following day. We may climb nearby small frozen waterfalls. Overnight at Condoriri Base Camp (15,420 ft./4700 m). 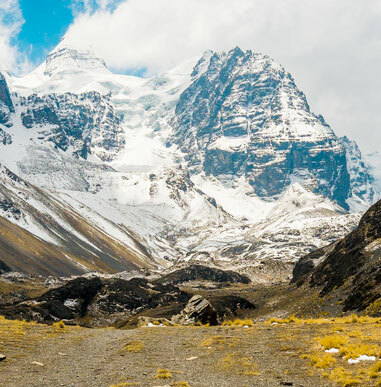 We will attempt the climb of Pequeño Alpamayo (17,618 ft./5370 m); named for its resemblance to the famed Alpamayo of Peru. 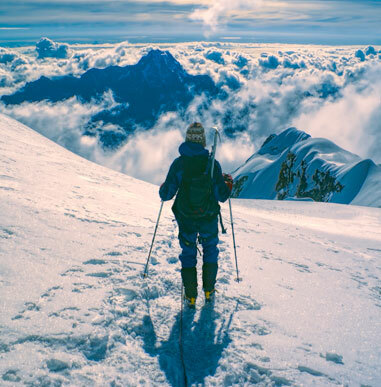 This climb follows one of the most aesthetic lines in Bolivia. We will climb the same glacier we visited for skills review and continue up to the rounded subsidiary Pico Tarija (17,060 ft./5200 m) before taking in the awesome view of our final objective, a striking sharp snow pyramid. In the final portion of the route, we’ll follow the airy exposed ridge to the summit. Overnight at Condoriri Base Camp (15,420 ft./4700 m). 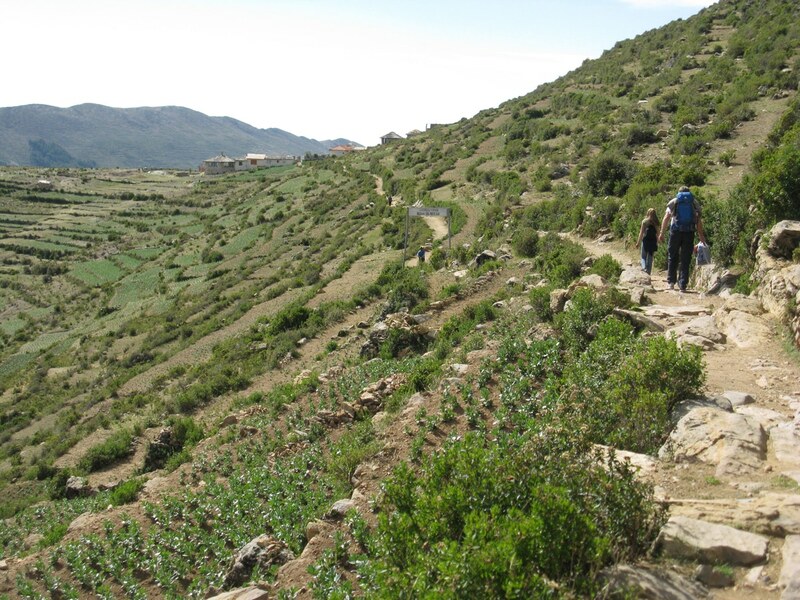 A leisurely morning hike from the Condoriri Base Camp will bring us back to Rinconada. From there, our transport will take us back to La Paz for a well deserved rest. Overnight at hotel in La Paz (11,810 ft./3600 m). We’ll travel from La Paz to Alto Cruz Pampa (14,600 ft./4450 m), our point of departure to the base camp of our second objective, Chachacomani. Today’s trek is around three hours following an impressive glacial valley to its terminus, where we will set up camp. Donkeys will transport our equipment and food. Overnight at Chachacomani Base Camp (14,665 ft./4470 m). The move from base camp to high camp is a hike of about three to four hours. Donkeys will carry our equipment and food until the last steep rocky section where porters will finish the carry. We will camp at the bouldery base of the glacier and the upper mountain will remain hidden behind the ice wall of the glacier terminus. Overnight at Chachacomani High Camp (16,831 ft./5130 m). 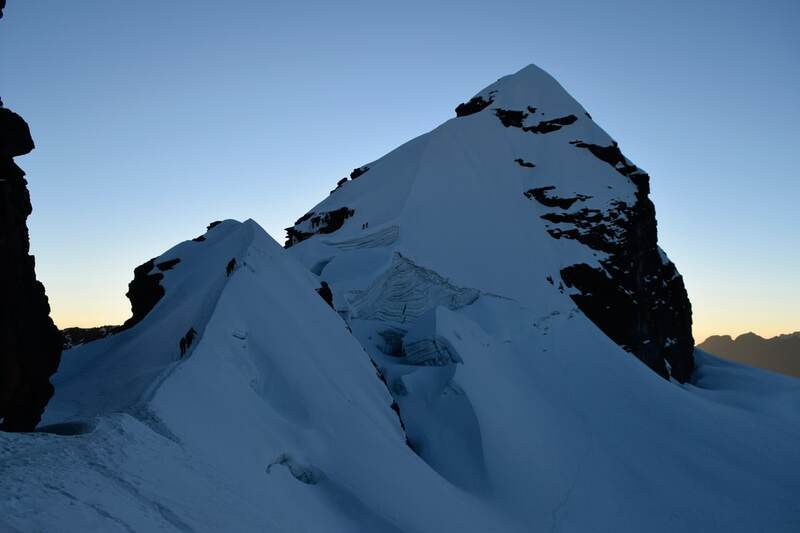 We’ll attempt the summit of Chachacomani (19,928 ft./6074 m). 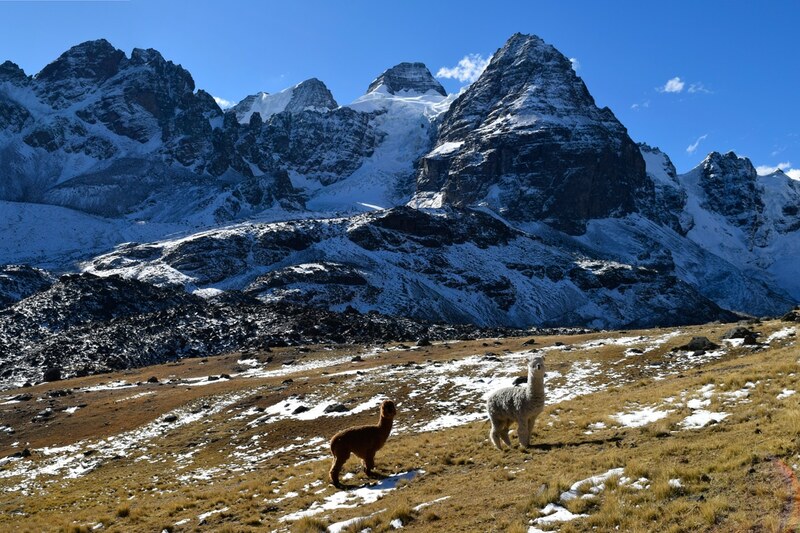 Relatively recently opened to tourism, Chachacomani rises from the center of the Cordillera Real and is easily notable from afar for its massive glacial mass. 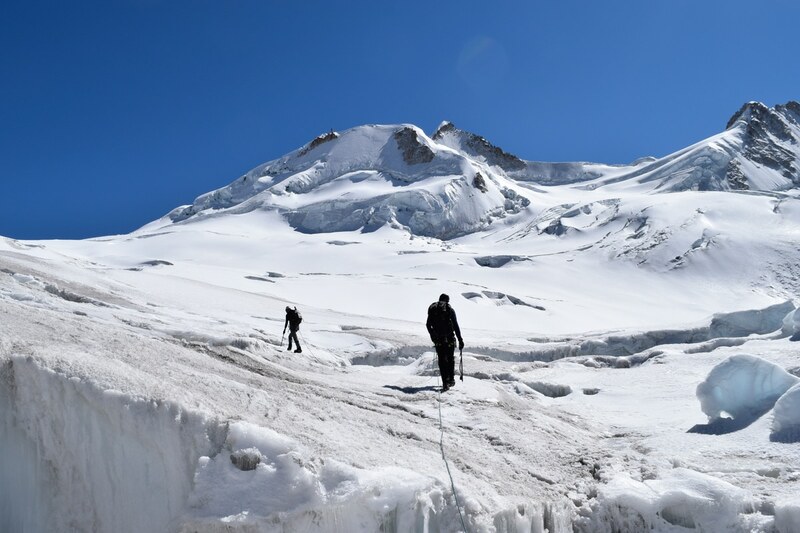 We will traverse across this glacier, gradually drawing closer to the main summit structure, where the final ascent will require steeper climbing to navigate the bergschrund before we reach the final tiny exposed summit pyramid. The view from the summit spans the barren altiplano, neighboring imposing Chearoco and the Cordillera Real, and across the subtropics to the Amazon Basin. Overnight at Chachacomani Base Camp (14,665 ft./4470 m). 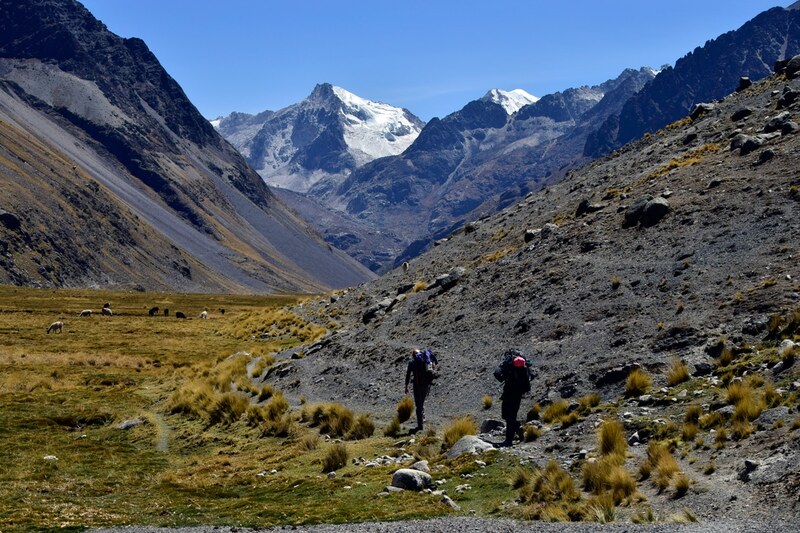 We’ll retrace our steps from the Chachacomani Base Camp to Alto Cruz Pampa and return to La Paz. Overnight at hotel in La Paz (11,810 ft./3600 m). A day in La Paz. We’ll visit museums, go shopping and relax. We may use this day as an extra summit day. Overnight at hotel in La Paz (11,810 ft./3600 m). 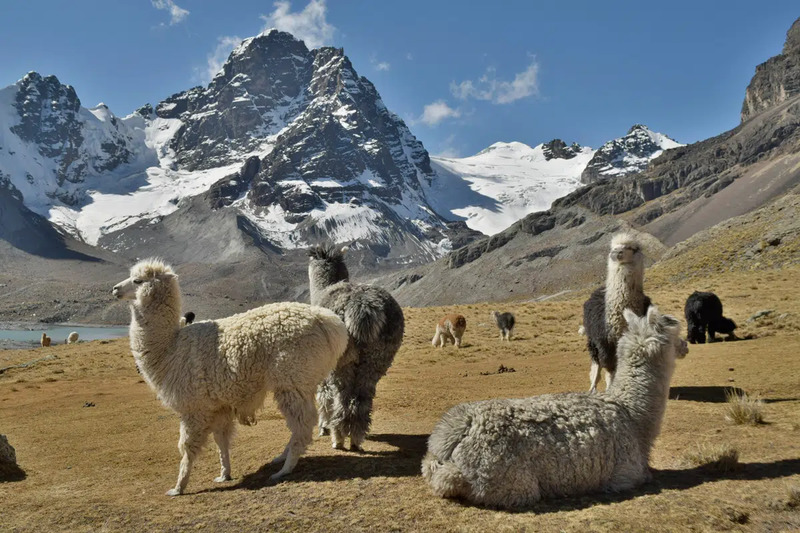 We’ll either return to our country of origin or make the scenic drive from La Paz to the village of Pinaya (12,795 ft./3900 m), from which we will begin the three to four hour trek to Puente Roto, the base camp of Illimani. Donkeys will carry our food and equipment. Overnight at Puente Roto Camp (15,420 ft./4700 m). 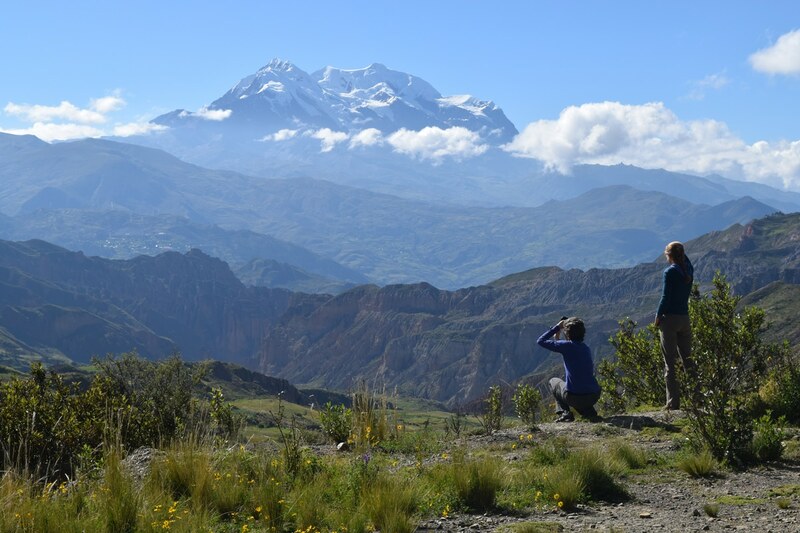 From Puente Roto, we’ll climb around five to six hours traversing gradually across the lower slopes of the mountain until a climb of the final rocky ridge brings us to Nido de Condores (The Condor’s Nest), our high camp. Porters will carry our gear and food, lightening our loads. 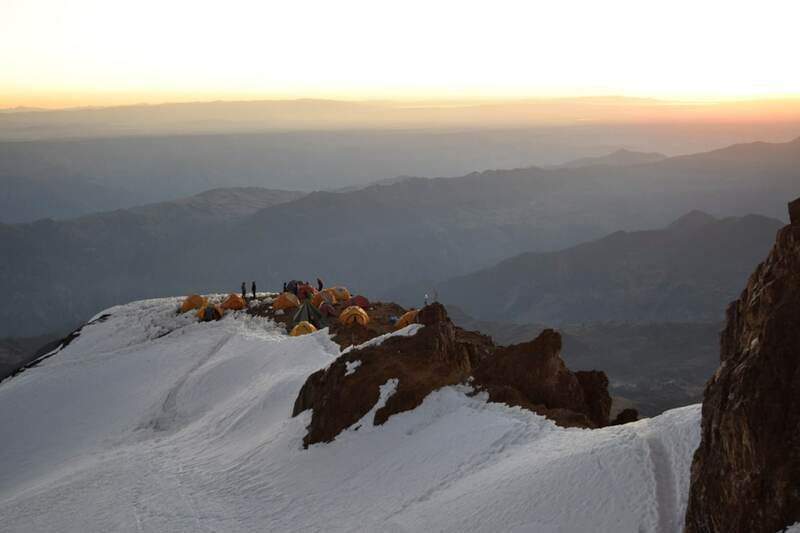 Overnight at Nido de Condores Camp (18,045 ft./5500 m). 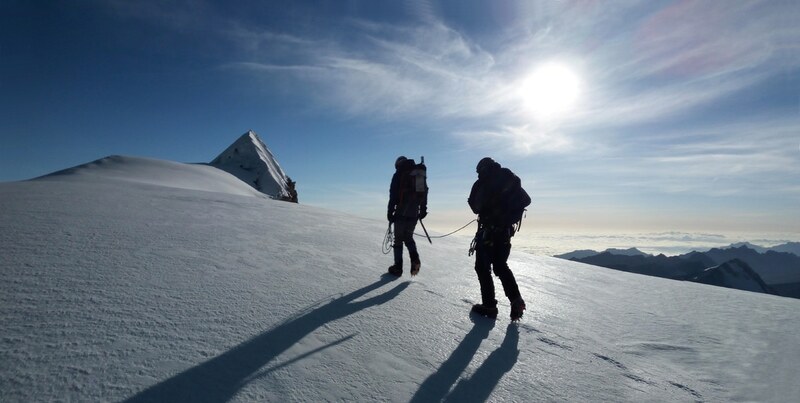 We’ll attempt the summit of Illimani (21,125 ft./6439 m). 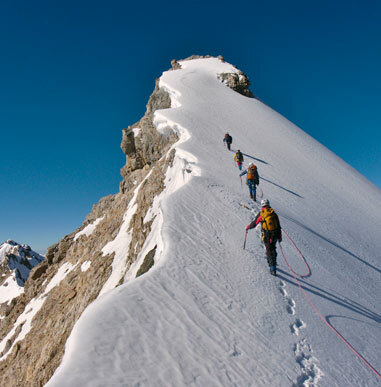 After threading our way along a spectacular airy snow ridge, we climb moderately steep slopes for several hours before reaching the scenic summit ridge, which we will follow to the highest point. 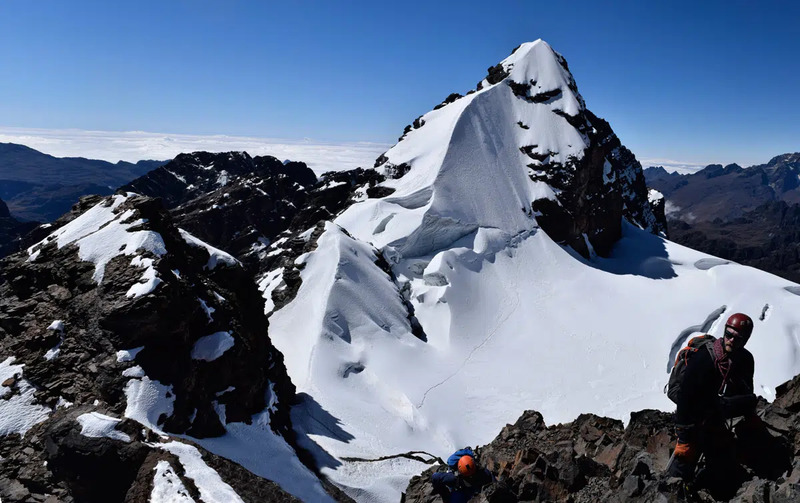 The view from the summit of one of South America’s finest peaks is outstanding and a great reward to a strenuous and fantastic day of climbing. Overnight at Puente Roto Camp (15,420 ft./4700 m). We’ll descend from Puente Roto to the village of Pinaya and drive back to La Paz. Overnight at hotel in La Paz (11,810 ft./3600 m). Fly back to your country of origin.